This article was originally published as ‘Every Christian a Publisher’ by the late American pastor Ernest Reisinger (1919-2004). It is a stirring message on the key role books have played in the development of the Christian faith and the lives of believers over the ages and the role it can still play for the witness of the Church today. The original publication can be found here. Have we forgotten that Christianity is primarily a religion of facts—historical facts? The Bible is a body of divine information, and to be ignorant of the information is to be ignorant of Christianity and to be ignorant of God. What an eye-opener it was for me to read that the Watch Tower building in New York City puts out 12,000,000 pieces of Jehovah Witness literature a month, fifty percent of which is shipped overseas. They have large three-story buildings in which they do nothing but turn out their doctrines and heresies. They use one carload of paper per day and have the world’s largest religious bindery in which it is said that they are able to turn out 30,000 books per day. Still more disturbing is the fact that young men and women, between the ages of twenty and twenty-five, give their lives to this cause, with no remuneration apart from their lodging and food. Oh, that the day would come when more young men and women would give their lives to the cause of spreading the Gospel of Jesus Christ with such dedication as this! In the past, the pen has been the hammer to break the errors of centuries. But now the enemies of the truth have learned the value of books and with word processors and printing presses they have left those who love the biblical Christianity far behind. 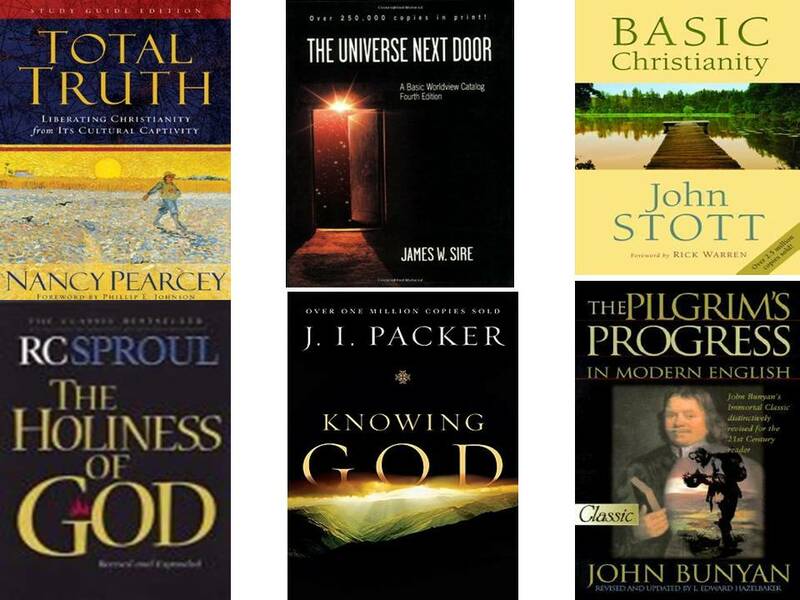 I want to mention one book specially today that has been mightily used in the history of Christianity, that is my favorite book, Pilgrim’s Progress. Without doubt, next to the Bible, Pilgrim’s Progress has been used to bless more people than any other single book, and you should not rest until every family in your church has a copy. Use it in your sermons! (1) It has some excellent preaching material. Spurgeon read it one hundred times, and it permeated his sermons. (2) Pilgrim’s Progress is the biblical message of salvation by grace. (4) It is not fiction—it bathes and swims in Scripture. The more you know the Bible and the theology of the Bible the better you will understand and appreciate this useful volume. (6) It is the great doctrines of the Bible, set forth in an experimental and illustrative manner. (7) It is as relevant today as the day it was written (between 1675 and 1684). Like the Bible, it is always relevant because it is about God—Man—Sin—Christ—Salvation—Life—Death—Heaven and Hell. No amount of literary study in itself could ever produce Pilgrim’s Progress. It took not only the natural gifts and graces of John Bunyan, but also his deep spiritual experiences and insights into the Word of God, and a biblical interpretation of those experiences. Bunyan travelled so close to the Master’s steps that he gives a marvelously accurate picture of the road to the Celestial City and of the difficulties we shall find on the way. Vanity-Fair has not changed. There is a Vanity-Fair every day. Madam Bubble still seeks to draw away pilgrims. Madam Wanton walks on every street. Mrs. Bats-Eye still thinks everyone is blind. Men with muckrakes are all around us who will not give up their muckrake for the crown offered by the One above. They will not turn their eyes upward. Are there any of you here today who are so busy with straws, small sticks and dust on the floor, that you have not looked up? Is all your time and energy spent without looking up? I hope you have been to Interpreter’s House where you see things rare, things profitable, things pleasant, and awesome things to make one stable. Real lessons can be learned about receiving people into the church at Palace Beautiful from that grave and beautiful damsel named Discretion. (1) Know the books you give to others. (2) Know the person, his needs and capacity, to whom you intend to give a book. (4) Do not be afraid to invest some money in your own missionary project. (5) Follow through with other books and with discussion on subjects in the books you use. (6) Aim to have a book-table in your church and see that its appearance is varied from week to week. (7) Be sure to use books and literature that are consistent with the teaching of the Bible. (8) Soak all the books you distribute in fervent prayer.